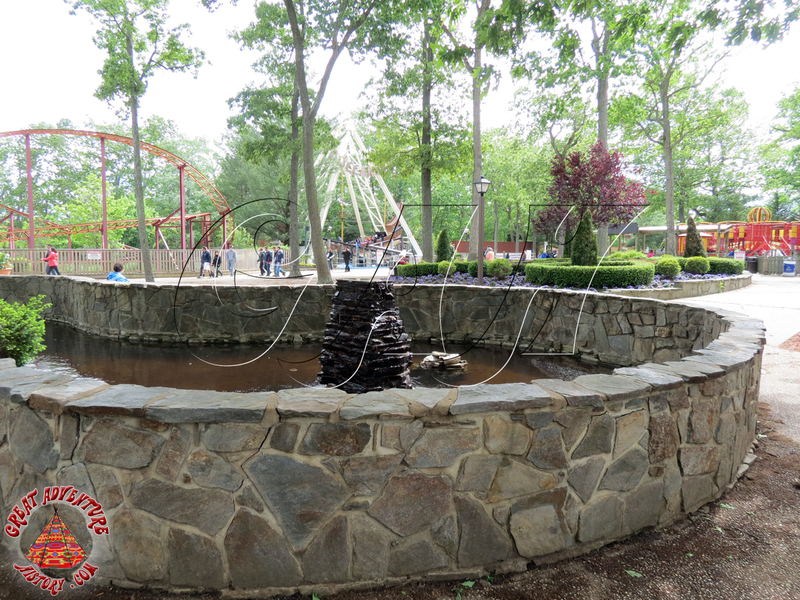 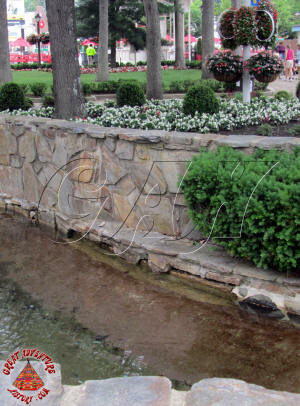 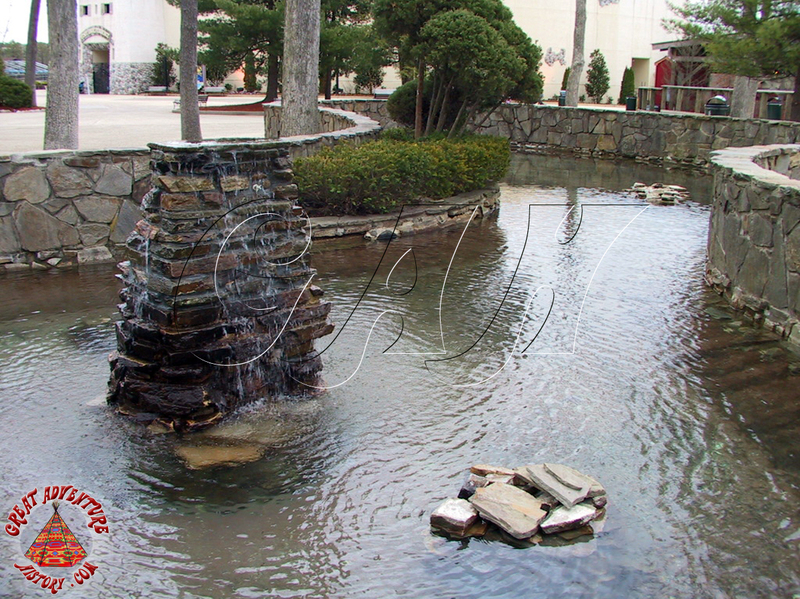 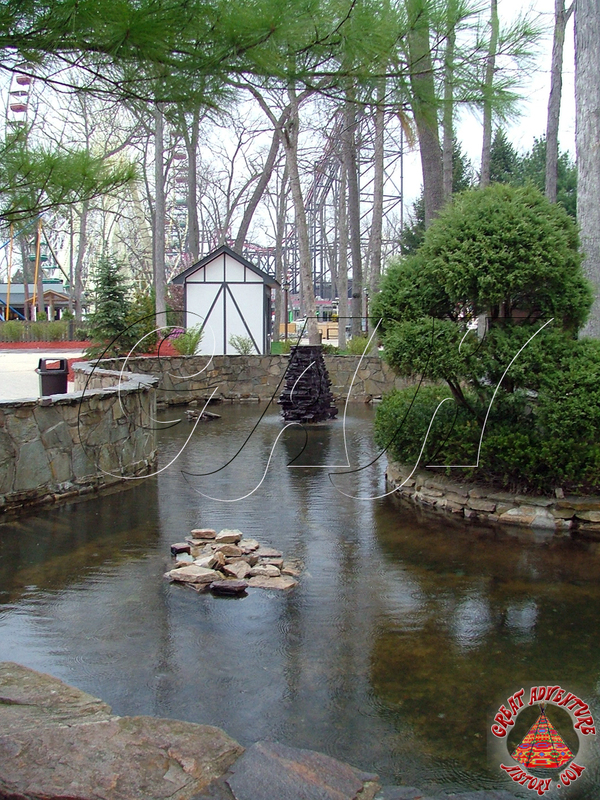 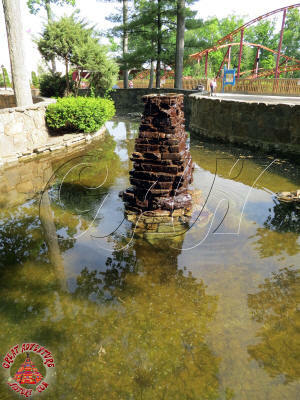 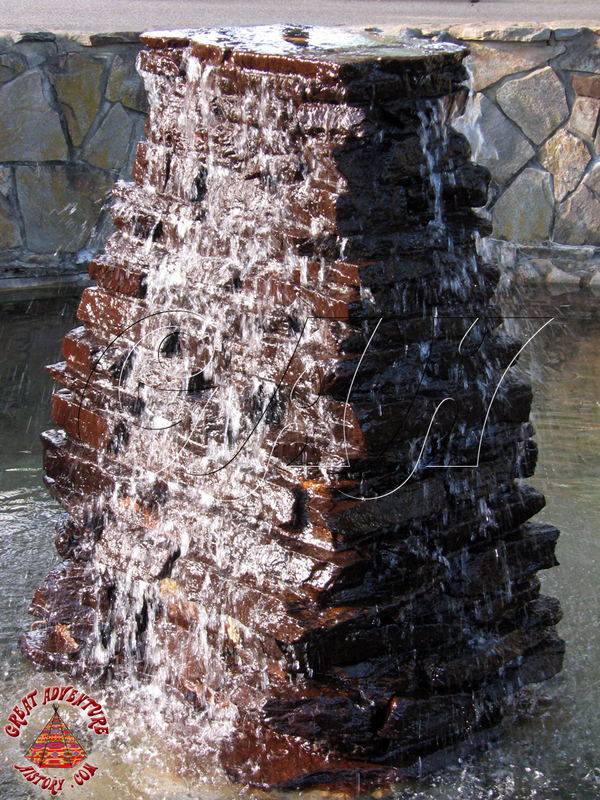 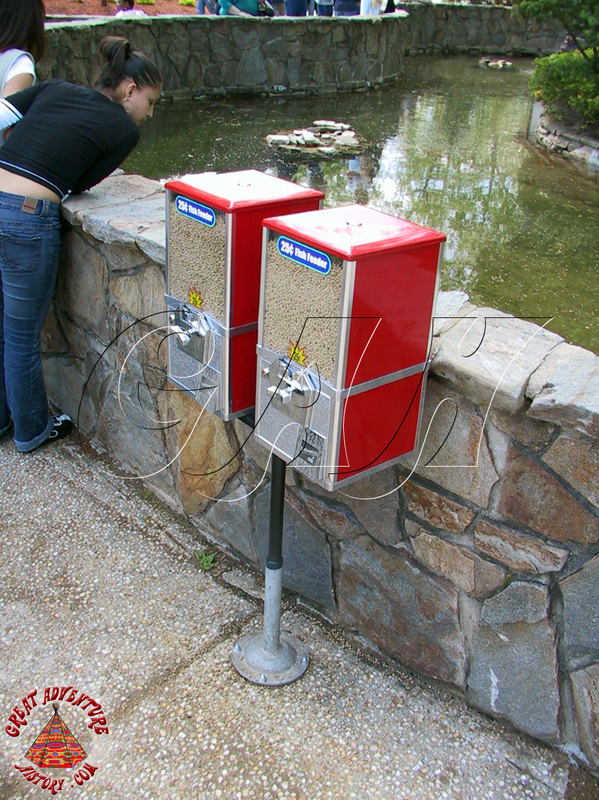 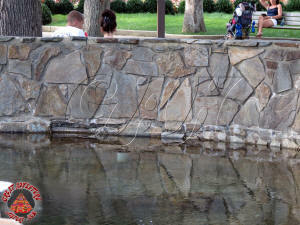 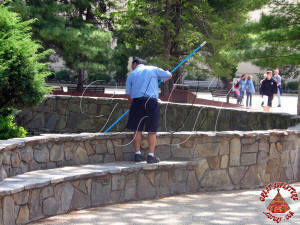 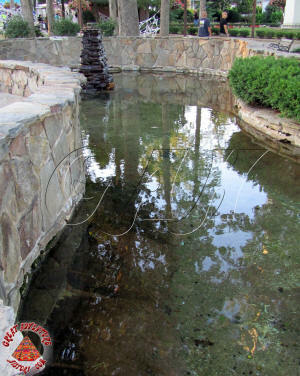 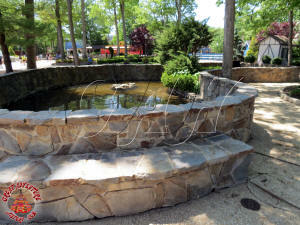 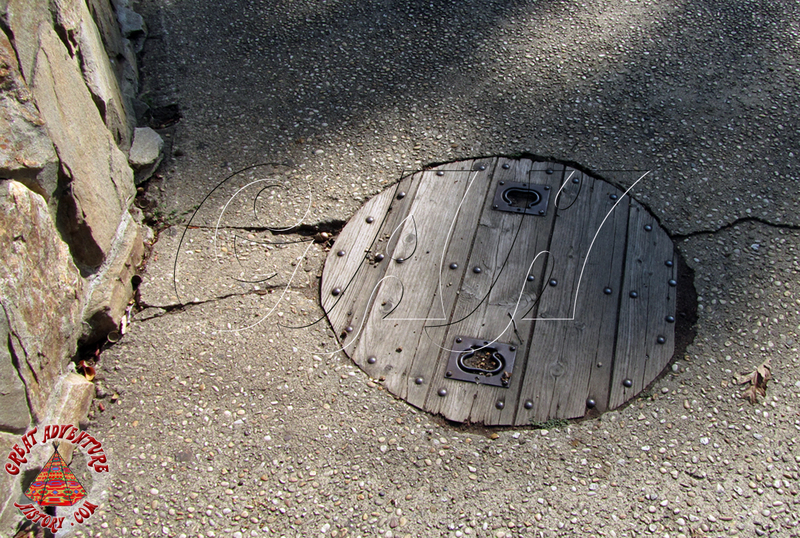 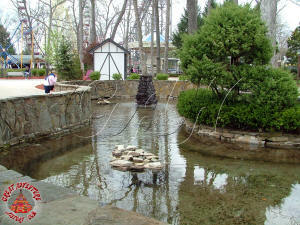 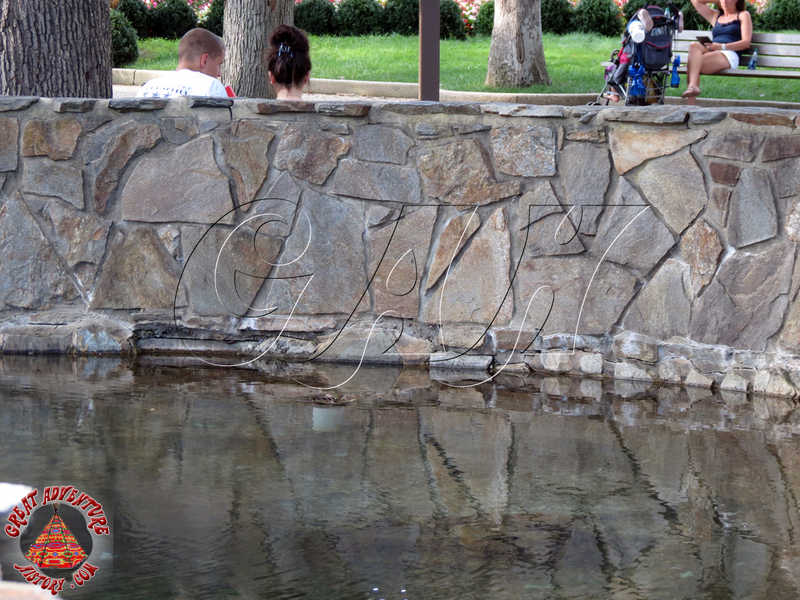 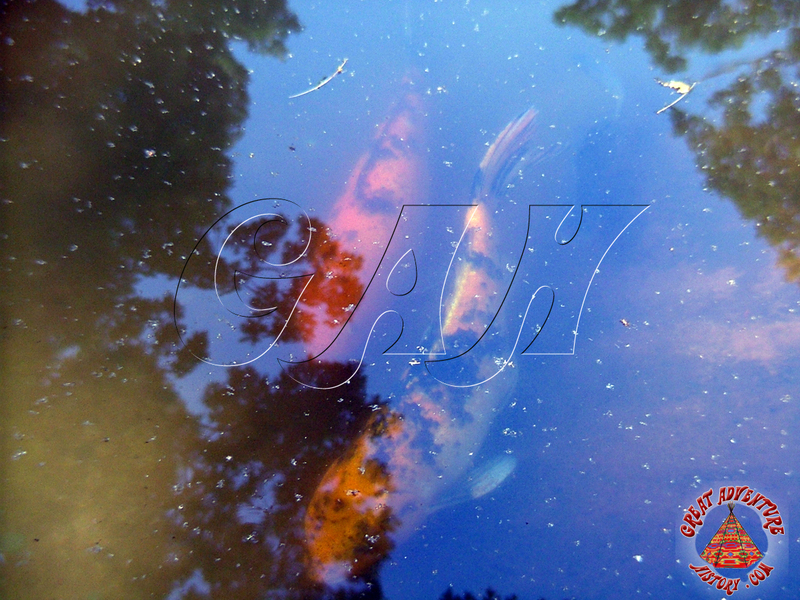 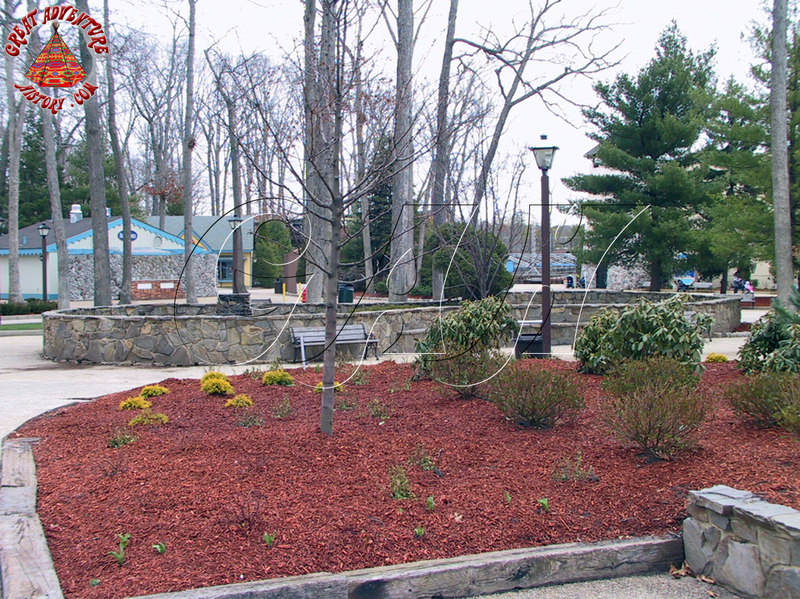 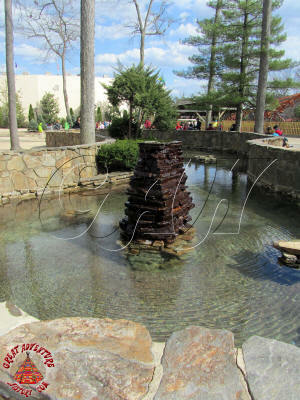 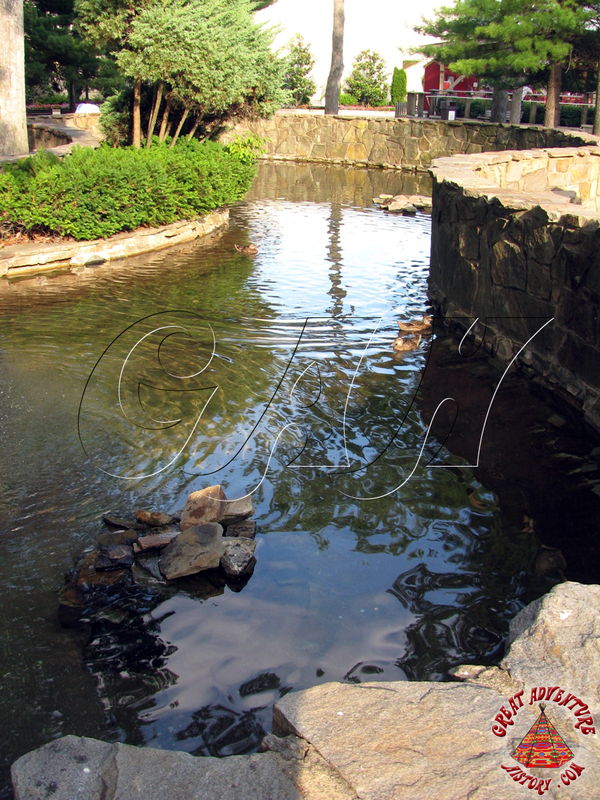 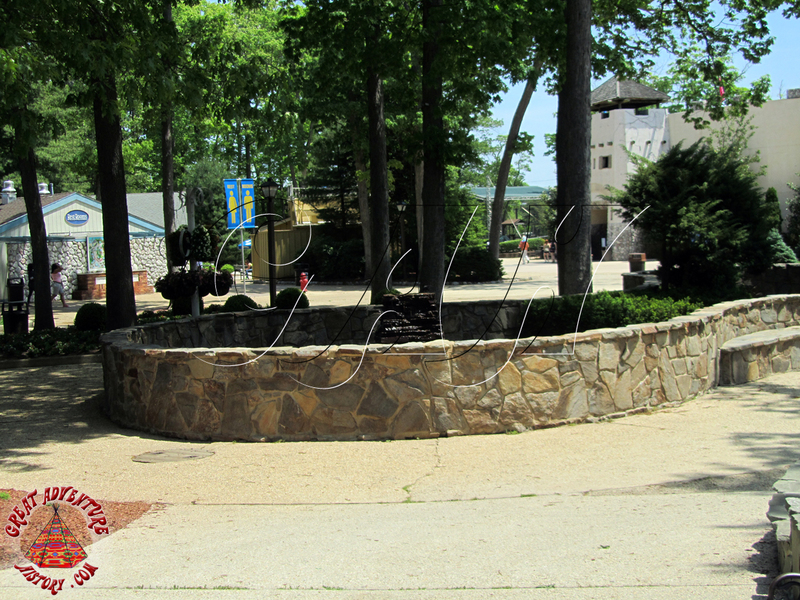 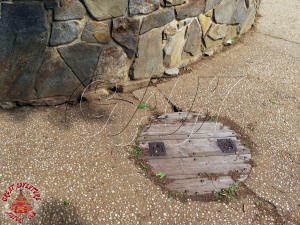 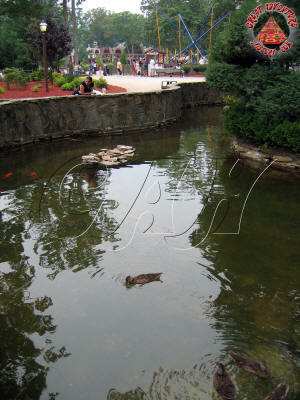 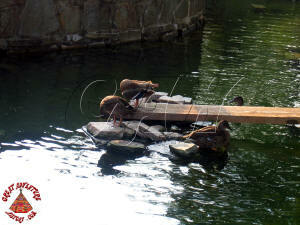 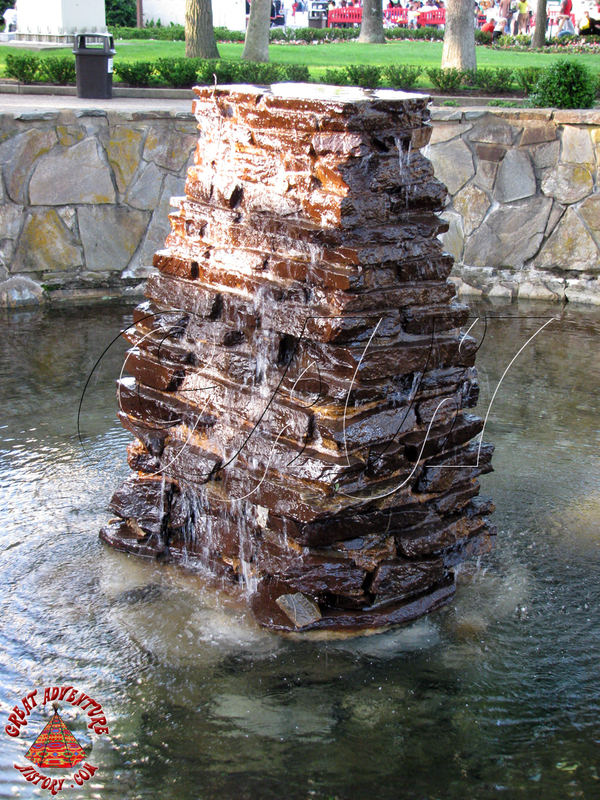 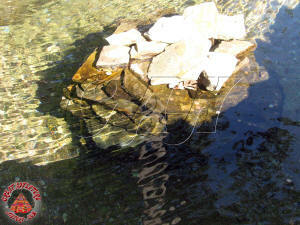 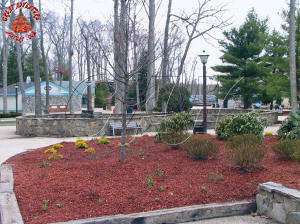 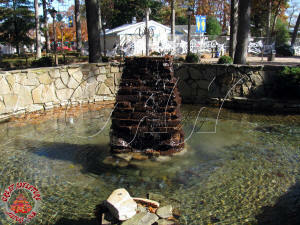 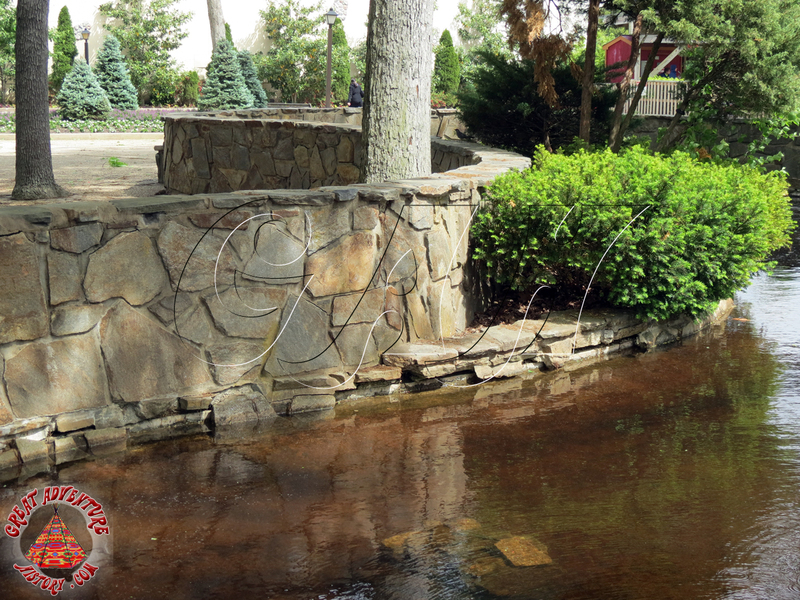 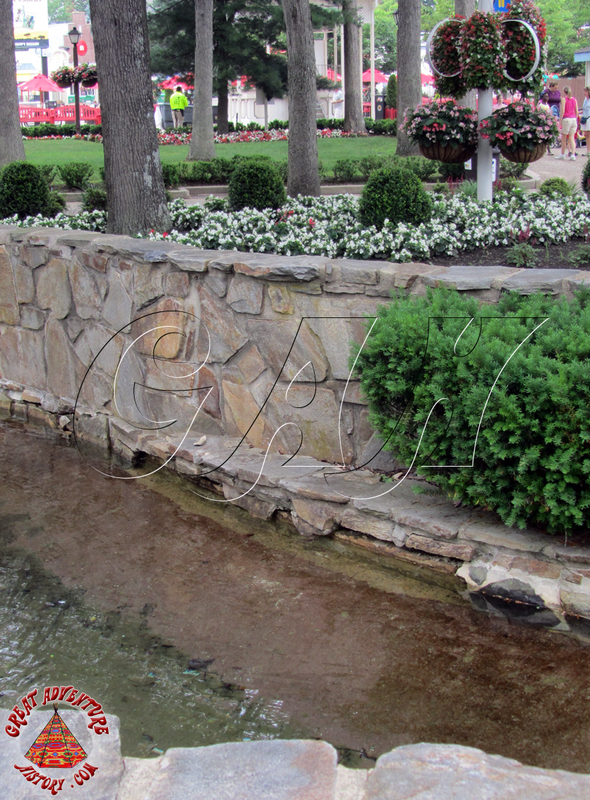 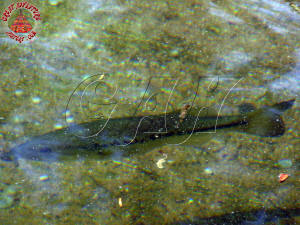 Lakes, ponds, and other water features have long been a beautiful part of an attractive amusement park environment. 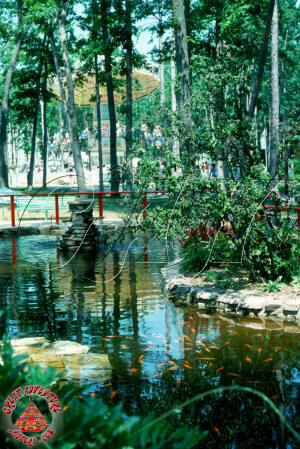 Over the years some parks have elected to combine these pleasing features with animal exhibits offering an eye-catching and sometimes educational exhibit. 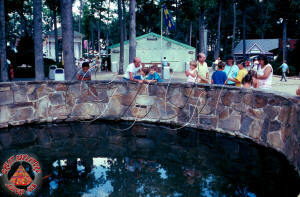 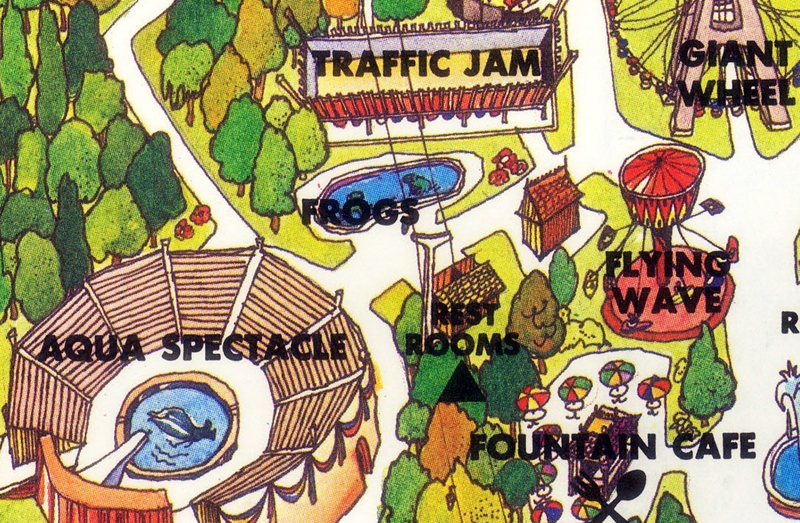 As part of the natural theme of Great Adventure, animal exhibits were a integral part of the mix of attractions. 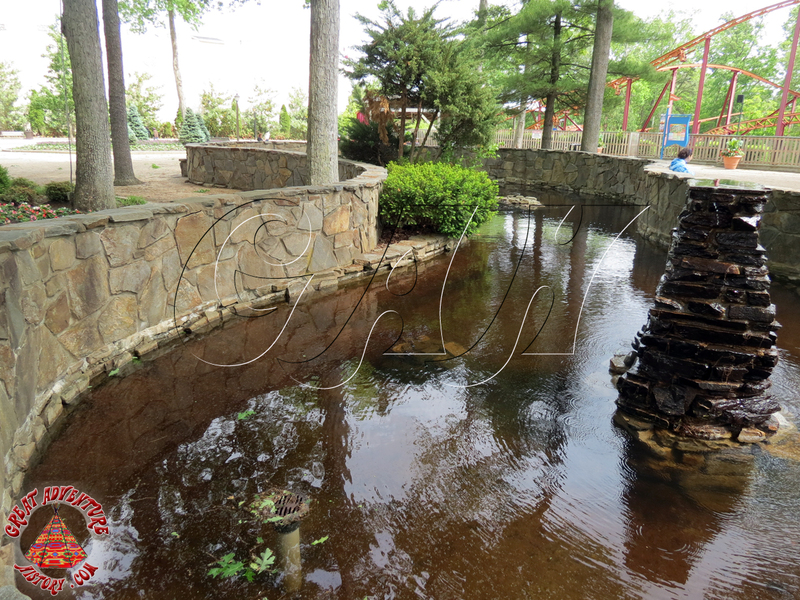 One of the smaller examples of this was the Frog Pond- a modest peanut shaped rock lined pond with a central waterfall structure. The Frog Pond was home to a myriad of amphibious creatures which enjoyed hopping about on the flagstone pedestals and rigid walls of their water playground. 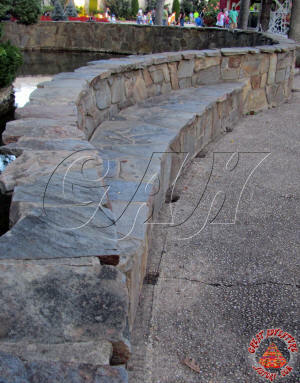 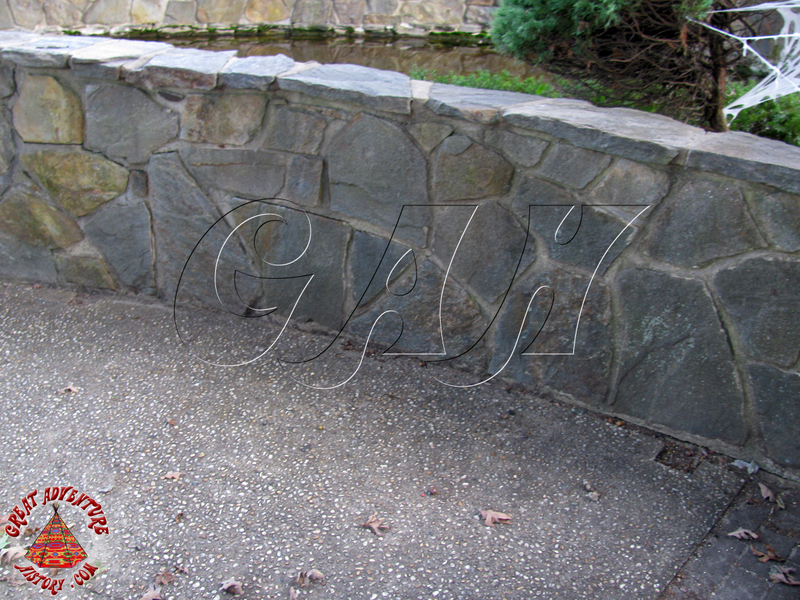 The three foot deep pond's original stone wall extended only about one foot above ground level. 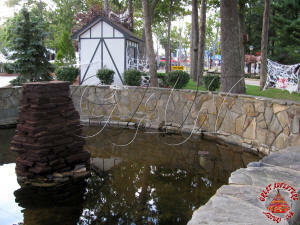 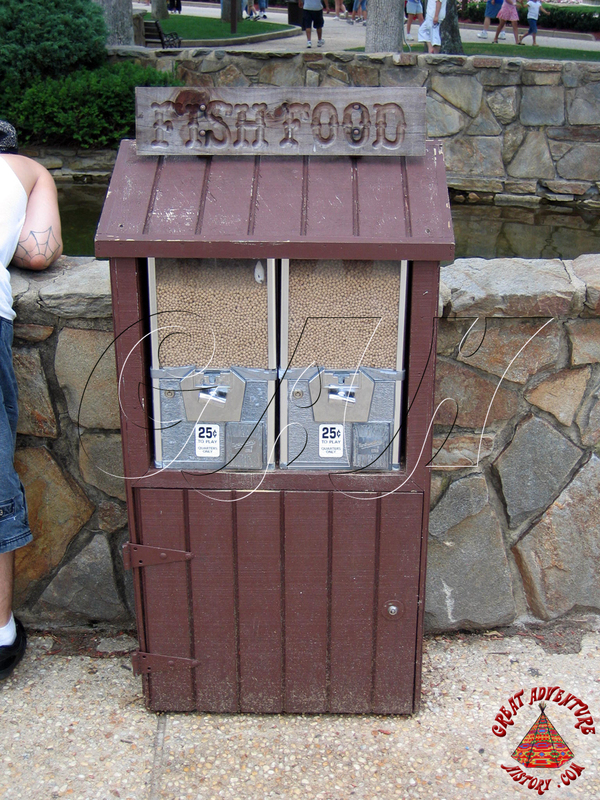 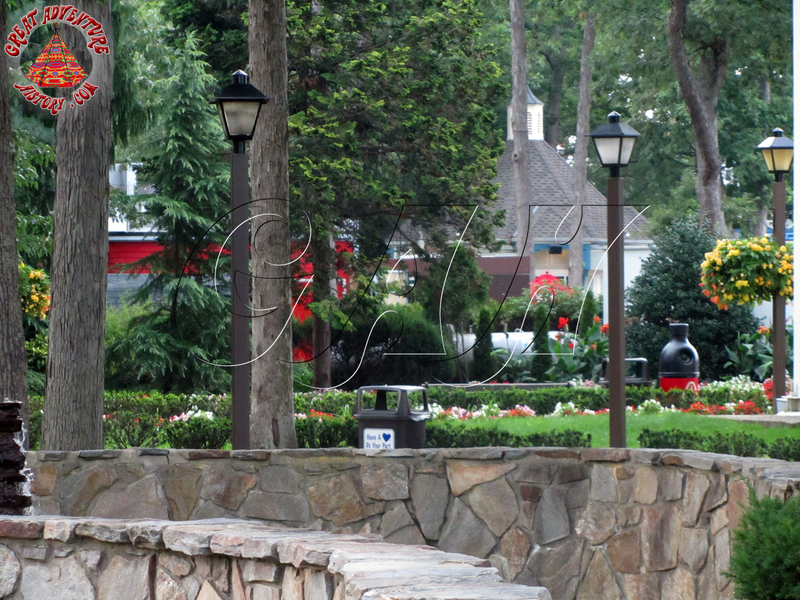 It was surrounded by a simple red wooden fence with black chain link mesh that prevented guests from entering the water. 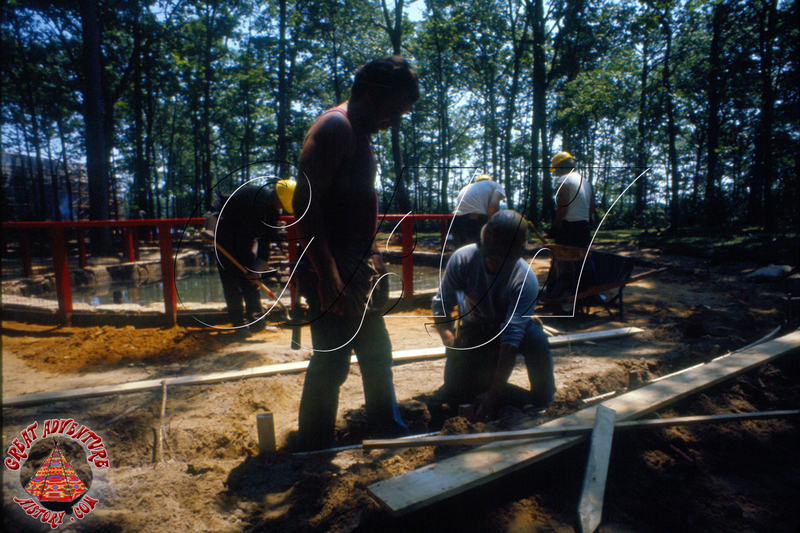 Around 1978, that fencing would be replaced with a three foot stack stone wall to ensure a safer attraction for visitors and a more secure environment for the wildlife within its walls. 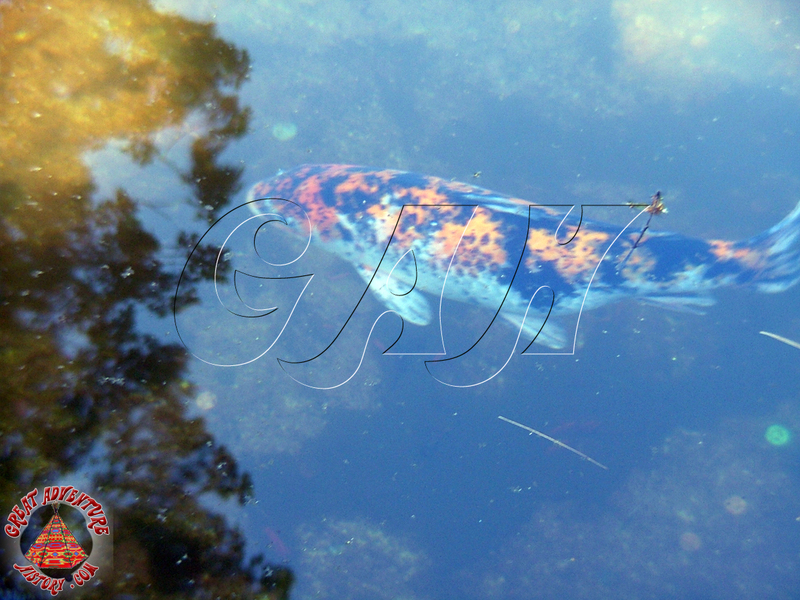 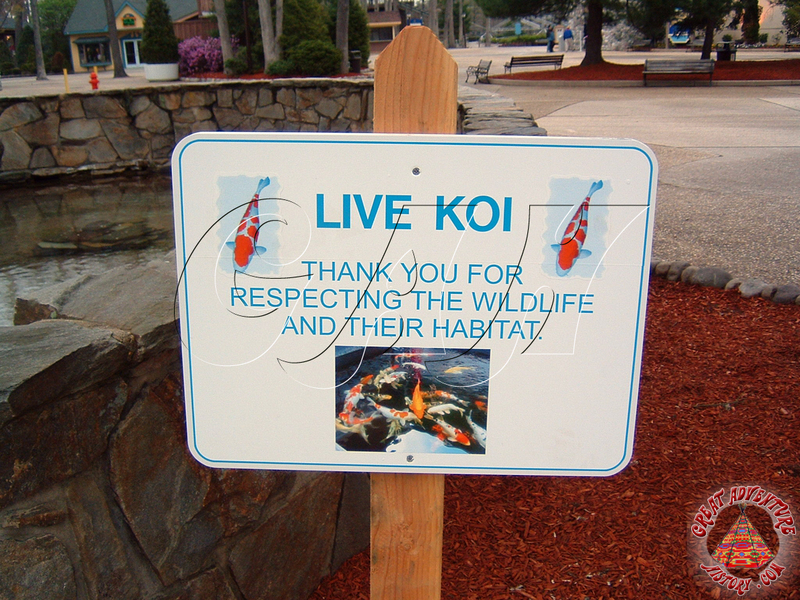 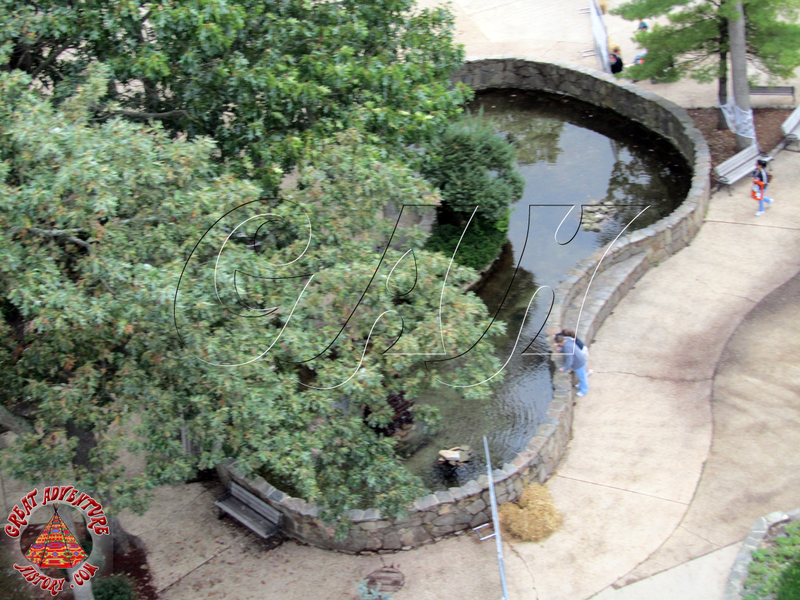 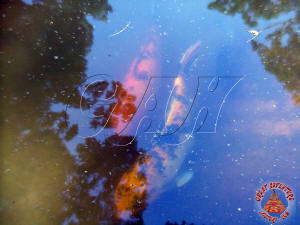 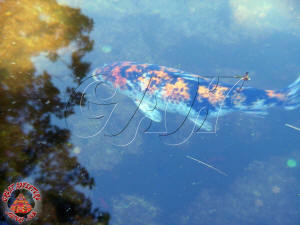 The frogs of the Frog Pond didn't last for very long, but the pond has been home to koi and other fish ever since the mid 1970's. 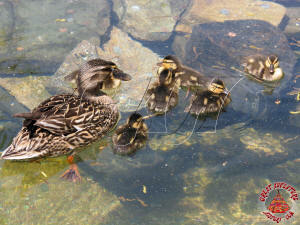 The pond has also been home to visiting native wildlife, quite often becoming a home for mother ducks and their offspring. 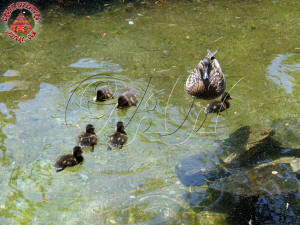 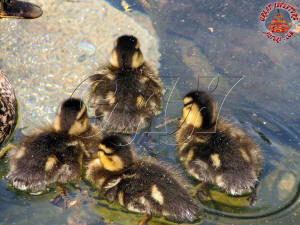 The safe, secluded space made an ideal place to raise ducklings. 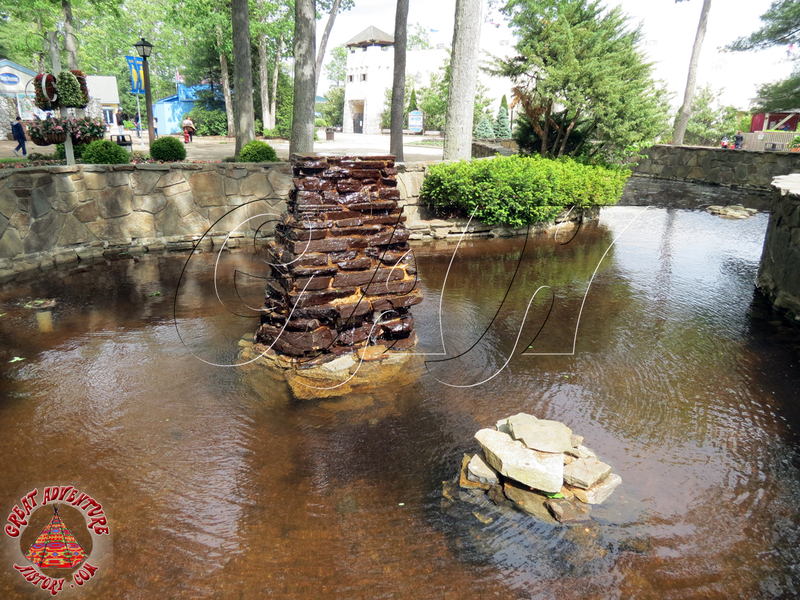 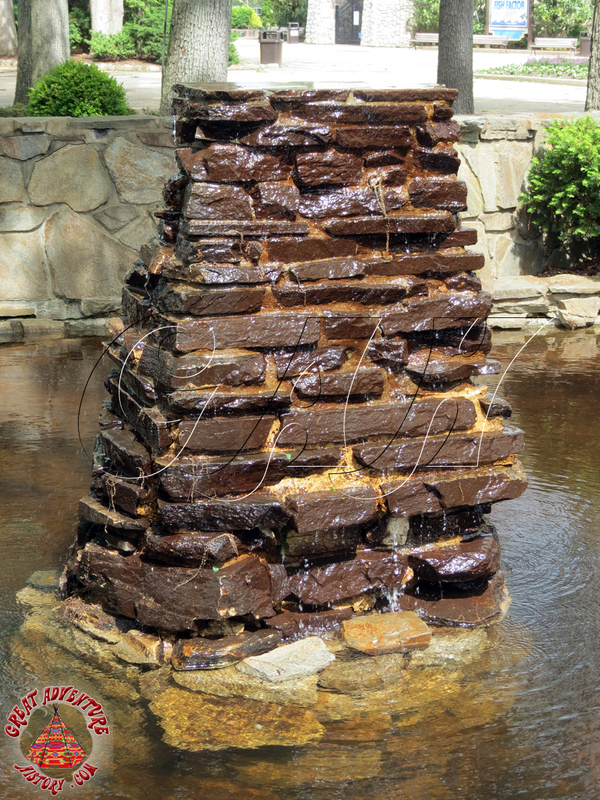 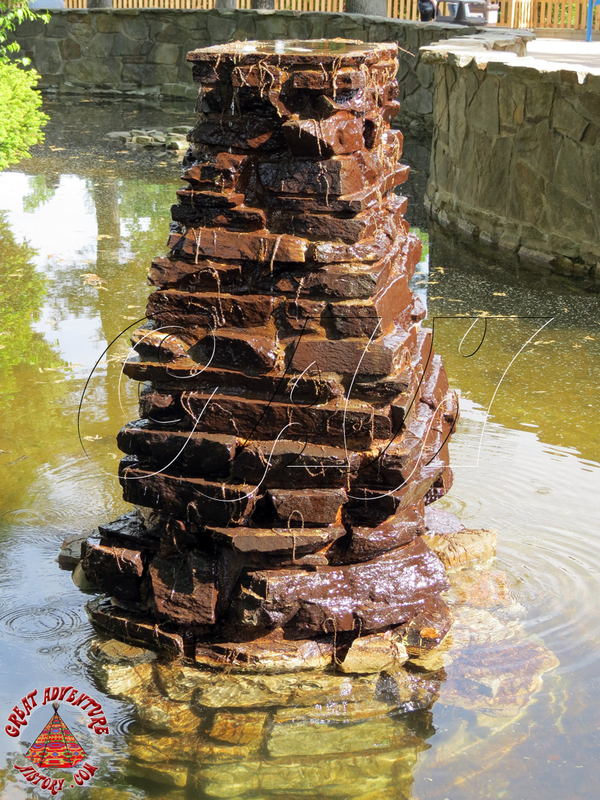 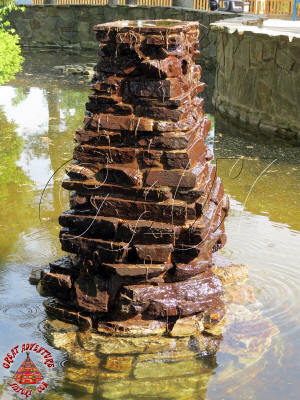 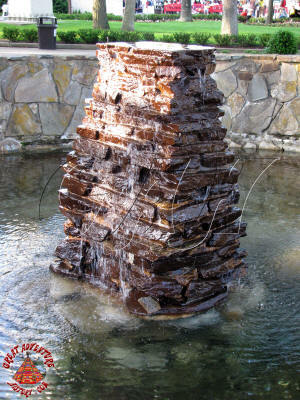 The waterfall of the Frog Pond was one of several around Great Adventure using a similar stack stone design including one in the Garden of Marvels and another near the Bandstand on the Lake. 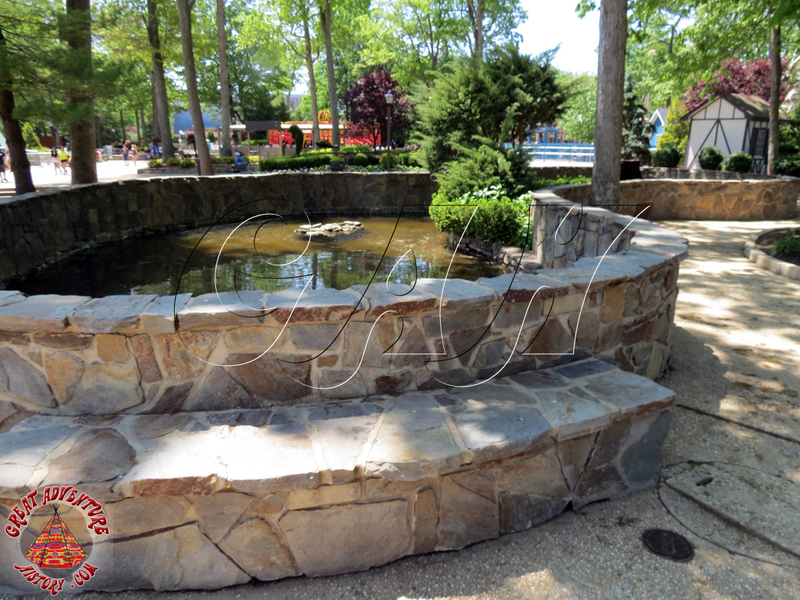 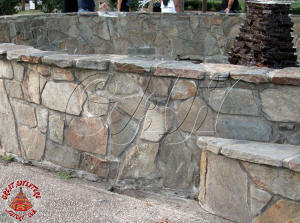 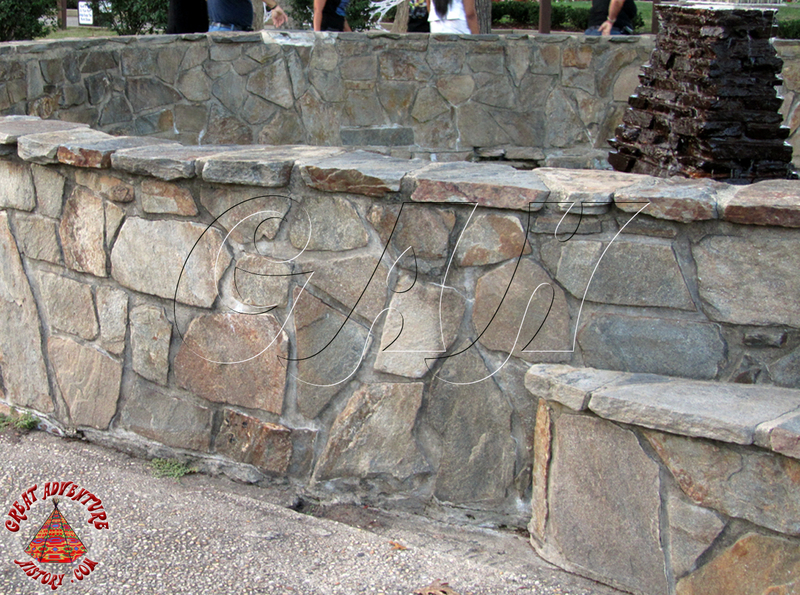 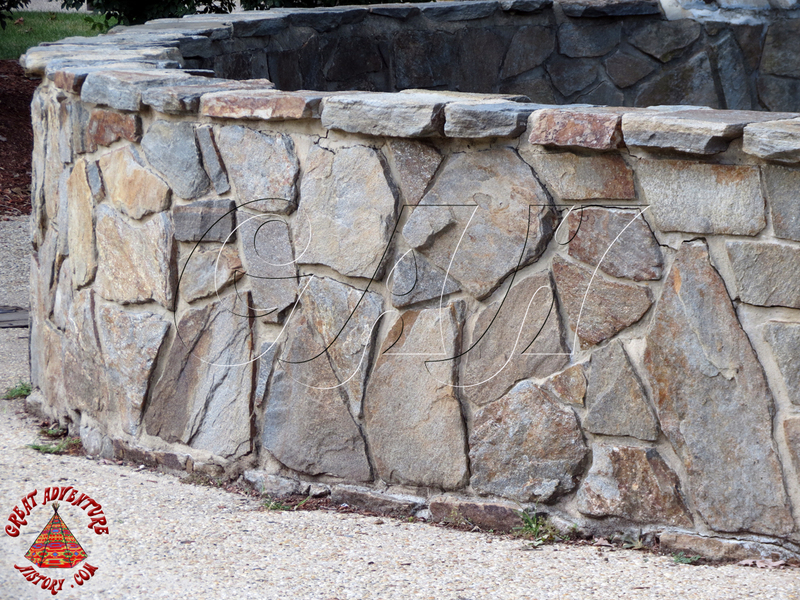 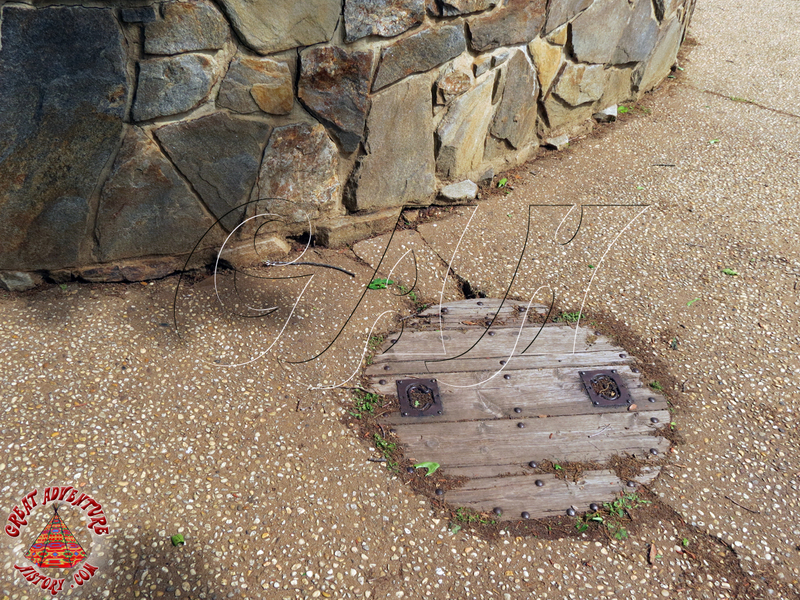 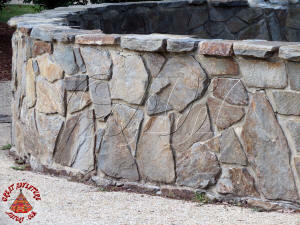 The stone style also matched the rockwork of the Log Flume's basin area and the streams which criss-crossed the Happy Feeling petting zoo area. 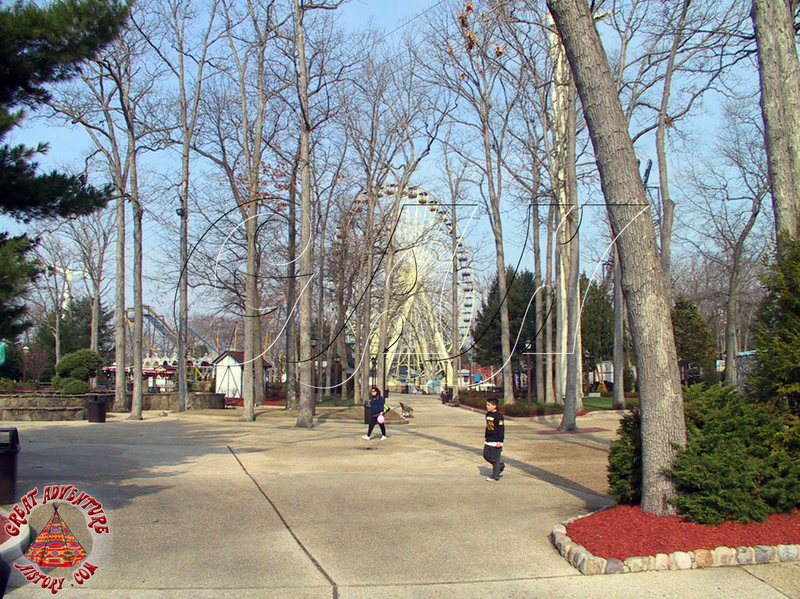 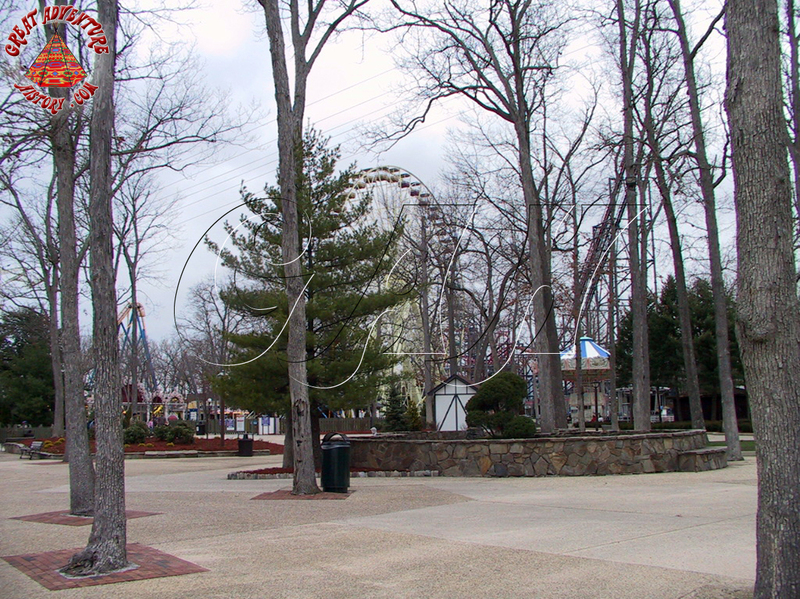 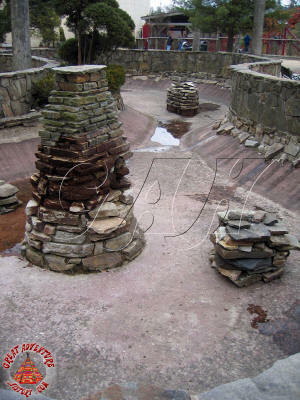 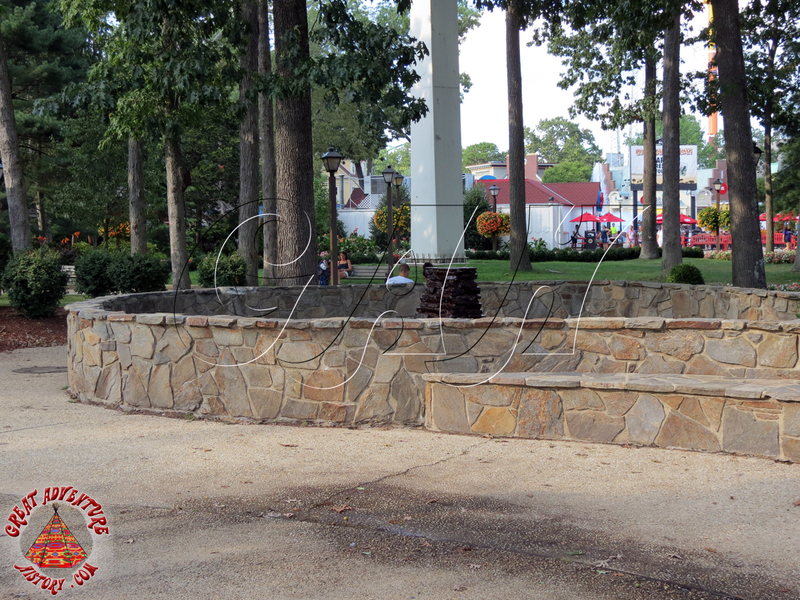 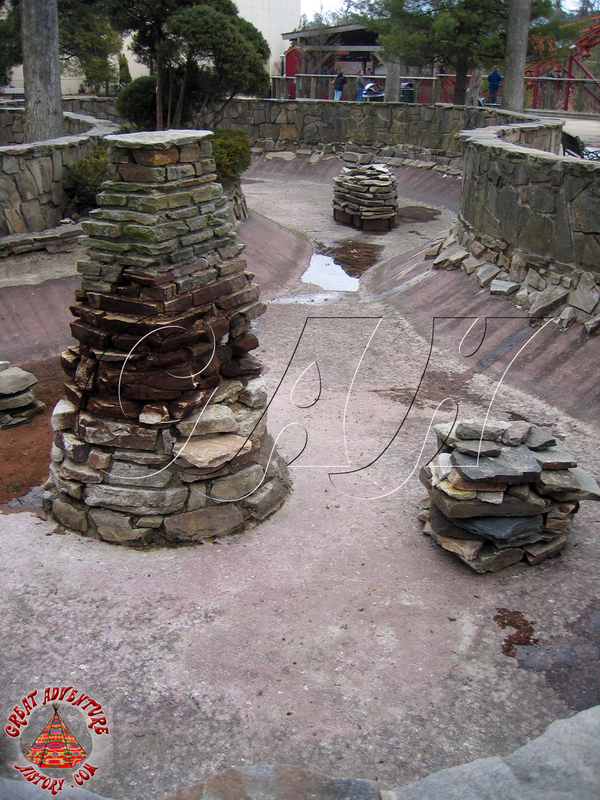 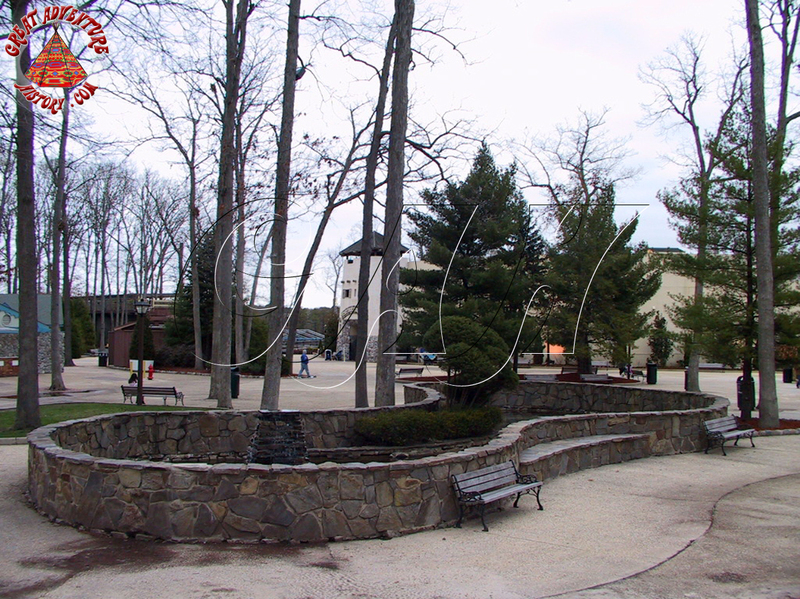 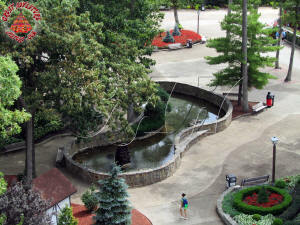 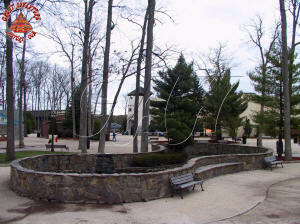 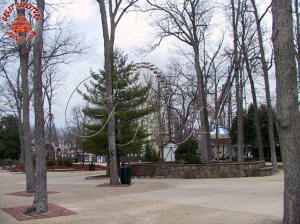 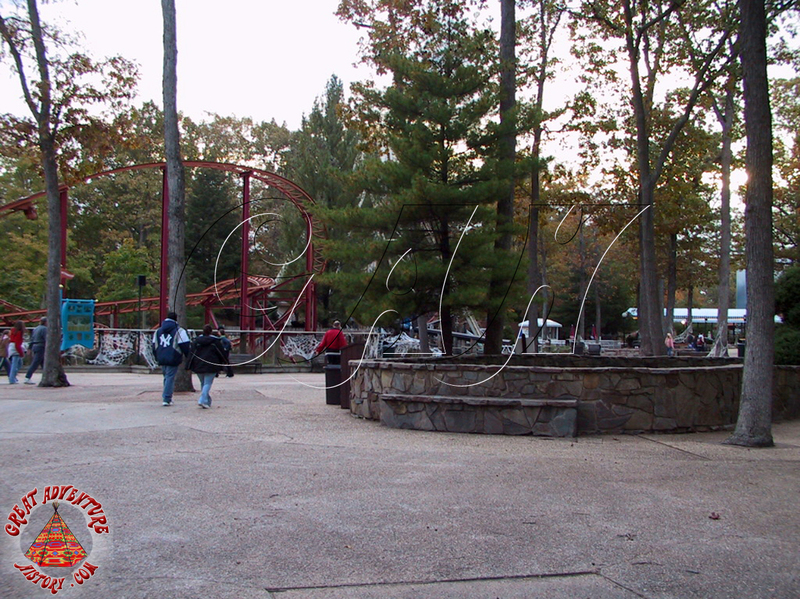 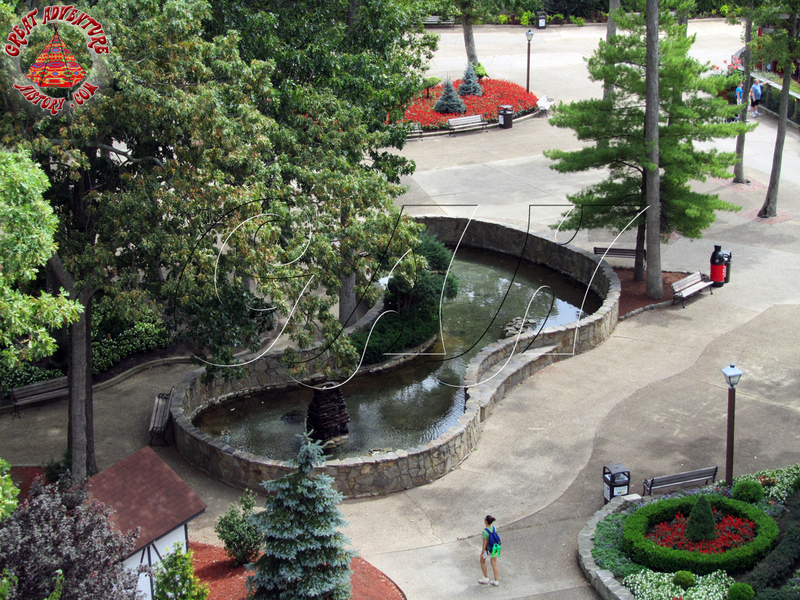 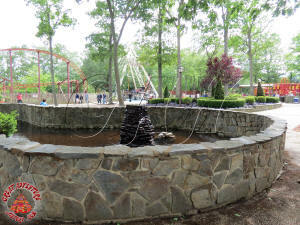 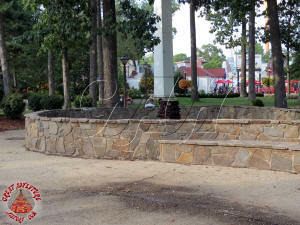 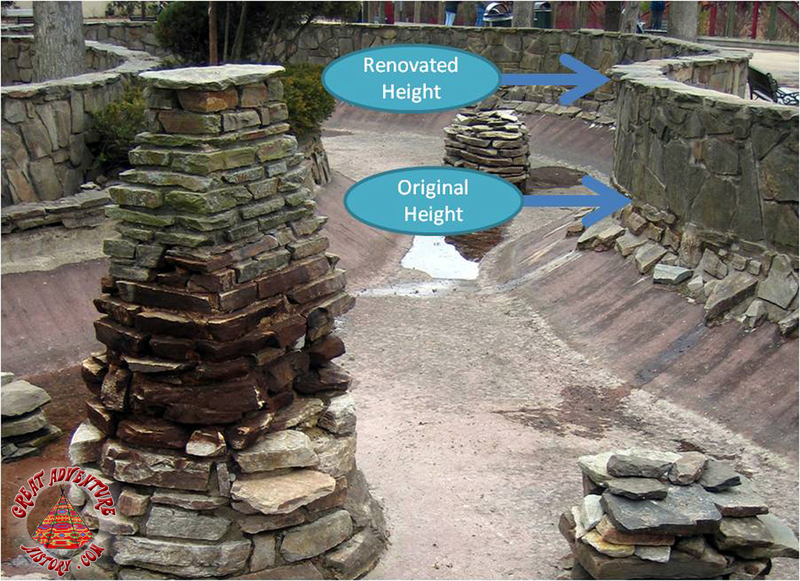 Similar stones were also added to the park's main fountain and to the base of the Big Wheel in later years. 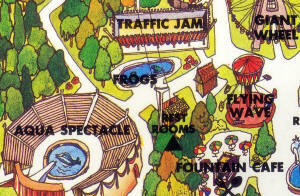 To this day the Frog Pond offers a quite water feature in the middle of the hustle and bustle of the park, retaining a bit of the original, gentle "back to nature" feeling of Great Adventure.